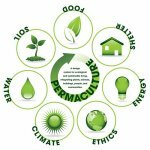 Join Nadine Chapdelaine and Special Guest Instructors for 12 days of Permaculture Classes to earn your PDC (Permaculture Design Certification)! Every other weekend from May 4th and 5th until July 13th and 14th, this Permaculture Course will have classroom instruction, as well as hands on projects. Design Ethics, Water Systems, Soil Building, Seeds, Animals, Natural Building, and Social Permaculture. Learn practical permaculture applications that you can bring home to implement to help yourself, your community, and the Earth. Topics will range from Watersheds, Natural Building, Design, Mycology, and more. “Medical Cannabis in the Landscape” topics will be covered in this course, as well! There will be education on History, Uses, Best Practices and the Current Legal Landscape. Get a taste of what we have to offer by signing up for one day of class. Or register for a weekend or two to increase your knowledge. And remember, only the full 12 days of classes will provide students with their PDC. We look forward to opening your mind and your heart through our unique curriculum. Nadine is a Horticulturist, Rancher, Natural Health Educator, and Permaculture Designer. She has been designing and implementing sustainable systems of agriculture, aquaculture, and alternative architecture since 1986. 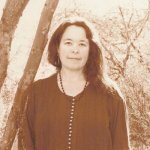 As Director of Island Mountain Institute of Sustainable Agriculture since 1992, she has been instrumental in creating permaculture systems and courses for over 30 years at Heartwood Institute. Special Guest Instructors as well!